Ipswich boss Mick McCarthy saw his team fail to create a new club record of six successive away wins but was happy with the point. "It was a well deserved point and a really tough ninety minutes, for both teams," he said. "I loved the game. It was an honest match, no whinging from either side. There were some robust challenges but the players just got on with it. It was like a blast from the past. "I thought Christophe (Berra) and Tommy (Smith) were terrific for us and they had to be. Vokes is a real handful and Gray is the top scorer in the Championship. "It was another good away performance. I would have taken six points from nine in the three games we have had this week so we are a point up." 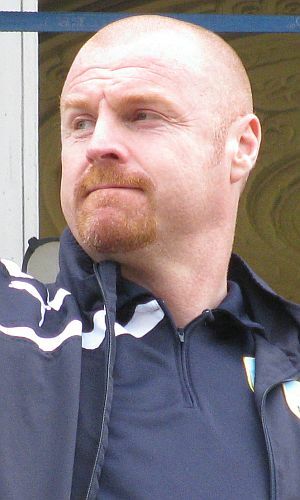 Sean Dyche's view was: "It was a scruffy game I felt, and a good performance in the sense that we were playing an in form side who have just won five on the spin away from him. They are no mugs and they grind games out, working from their shape and getting the ball forward at every opportunity. "I felt we dealt with that well and had some good moments ourselves. We didn't create enough in the end and I will say it was a hard afternoon for Andre Gray, who didn't get a lot today, I'd suggest. "I try not to get too involved with referees, so I'll let others decide that, but I've had a good look at the goal that was disallowed. There are two of their defenders in there screening our two forwards, and there is minimal contact on their keeper. He gets penned in by their own two men, so I am disappointed in that decision. "With all those things considered, to come away with a nice clean sheet, our ninth of the season and third in four games, means we are making this a tough place to come." He added: "On reflection, it's another point on the board and another clean sheet, with some positives to come out of it, so we move forwards. "We are right in the mix and we want that challenge to stay up there and take it as far as we can. That's the kind of mentality we have and it was on show again today. It's very difficult to win every game, so don't get beat and we did that today in a really tight affair."